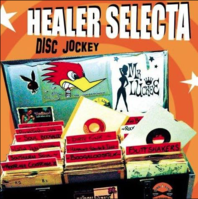 Here's a collaboration with renowned London DJ and producer 'Healer Selecta' ("Hero With a Records box" - Time Out) . Healer plays only vinyl records of original and authentic 50's, 60's, Soul, Funk, Rhythm & Blues, Rare Groove, Mambo, Rocksteady, etc..This track reflects many of these influences and was a joy to write. Featured on vocals is the sublime Ophelia Lovbond, a singer and actress known for films like 'Guardians of the Galaxy', 'The Autopsy of Jane Doe', and 'No Strings Attached'. Songwriting is where it all began for me as a musician. No matter how busy I get as a film composer I always have new songs on the go. There are two sides to my song writing.  As a performer with my band SUPER FULL MOON and as a producer writing for and with the talented artists I discover. This track was produced around the stellar voice of Bree Runway, a young and super talented singer from East London. I discovered her in a open mic in Hackney and ‍w‍‍as blown away by the power of her voice and maturity of phrasing and musicality. This song is the first record we have made together for a project I am calling 'Planet Pulse'. I have always had a love for well crafted pop and funk. I guess thanks to growing up as a huge fan of Prince.